Assess the residual risk of systems that store, process and/or transmit information assets after security measures have been implemented. 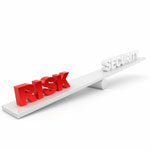 The answers to the above questions should be used to generate a score for inherent risk. This can be either qualitative (high, medium, low, etc.) or quantitative (100, 50, 0, etc. ), and the score calculation should be incorporated into an algorithm so that the scoring is repeatable for all systems assessed. The residual risk score is a qualitative score that is more granular than inherent risk. 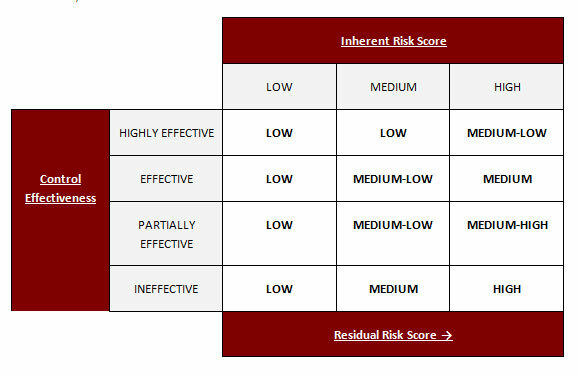 Inherent risk is commonly assigned one of the three scores of high, medium or low, while residual risk is commonly broken out into five or more scores of high, medium-high, medium, medium-low and low. This granularity will highlight control implementation progress over time and better reflect the change in overall risk. The residual risk score is what should be driving decisions regarding the allocation of time, money and resources to reduce risk. Representatives from the business and executive board in an organization should establish what the acceptable residual risk score is for each system, and they will be able to make informed decisions regarding risk remediation if they are able to understand both the inherent risk of a system and the residual risk of that same system as it is currently implemented in their environment.